USA BMX has awarded Lemoore BMX Raceway with the last stop of the 2018 USA BMX National Series. The Fall Nationals will be hosted at Lemoore BMX Raceway on the weekend of October 19-21. “Our selection of Lemoore BMX Raceway is a testament to the BMX program Derek and Michele Weiser run. 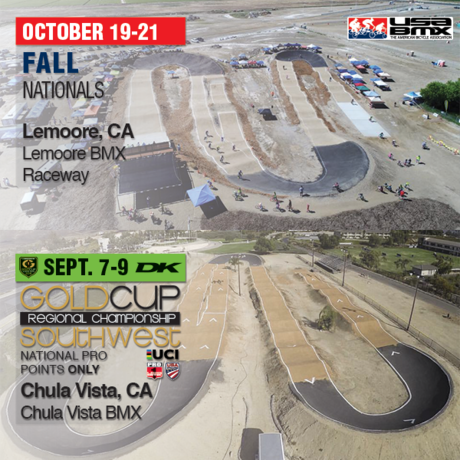 In a very short period of time, they have developed a great facility and awesome track, and we are thrilled to host the Fall Nationals at Lemoore BMX Raceway,” stated John David, USA BMX COO.